Combining different forms of collaboration in one platform is only part of the battle when it comes to helping co-workers connect. There’s also integration with productivity applications so that employees don’t have to constantly switch between screens. Cisco Systems scored a win in this area last month when it made a deal to bring its Spark and WebEx systems into Salesforce. 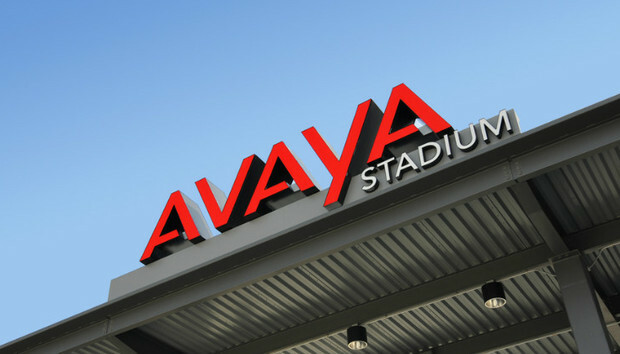 But Avaya, an enterprise networking company that lacks Cisco’s heft and high-profile partnerships, says this is where it can stand out in workplace communication. On Monday, it announced an all-in-one collaboration platform called Avaya Equinox, plus an open SDK (software development kit) for making other applications work with it. Equinox is a platform for voice and video calls, event streaming, text messaging and web collaboration, all in one place. It’s native to mobile clients and also available for PCs and Avaya’s Vantage system, a new device that’s like a desk phone with a large touchscreen that can run applications. Equinox can also run completely within a web browser, with no downloads or plugins needed, so part-time collaborators like partner companies can easily use the platform. All the code for the Avaya turnkey applications included in Equinox was developed using the Breeze Client SDK, Patel said. In the past, Avaya and other communications companies have provided different, proprietary interfaces and SDKs for each type of client and function. Connecting them together requires a lot of thought on the part of a developer. Using one SDK for everything will significantly simplify development, Patel said. “A phone interaction, a video interaction, a messaging interaction are all accessed in the same consistent way,” he said. Developers at enterprises, system integrators and application developers all can use the tools to integrate productivity software with Equinox. For example, one company has integrated a remote patient monitoring application with Equinox. When changes in a patient’s condition set off triggers, the application automatically notifies the primary caregiver, looks up the rest of the primary care team, and initiates a conference call among all of them, Patel said. The client portion of Equinox will go on sale in December. The back-end part of the system, which will integrate functions that currently run on separate Avaya server platforms, will come out in January. The back-end software is virtualized to run on whatever hardware the enterprise chooses. Equinox will be priced on a per-user, suite licensing basis.